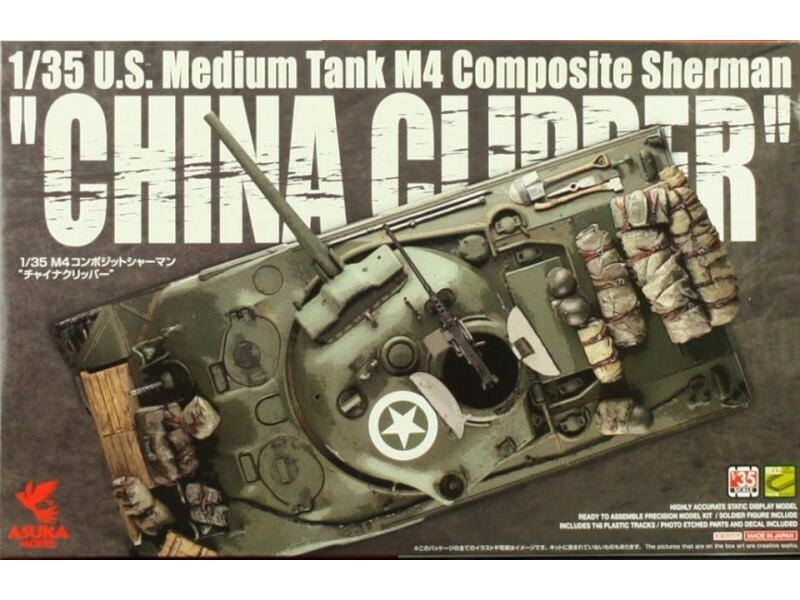 ASUKA Model - 1:35 U.S. 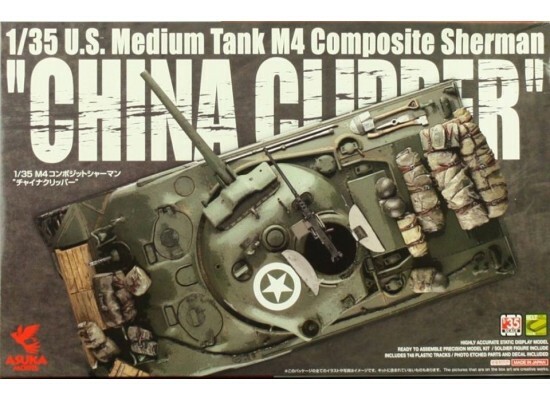 Medium Tank M4 Sherman "CHINA CLIPPER"
Plastic model kit of the U.S. 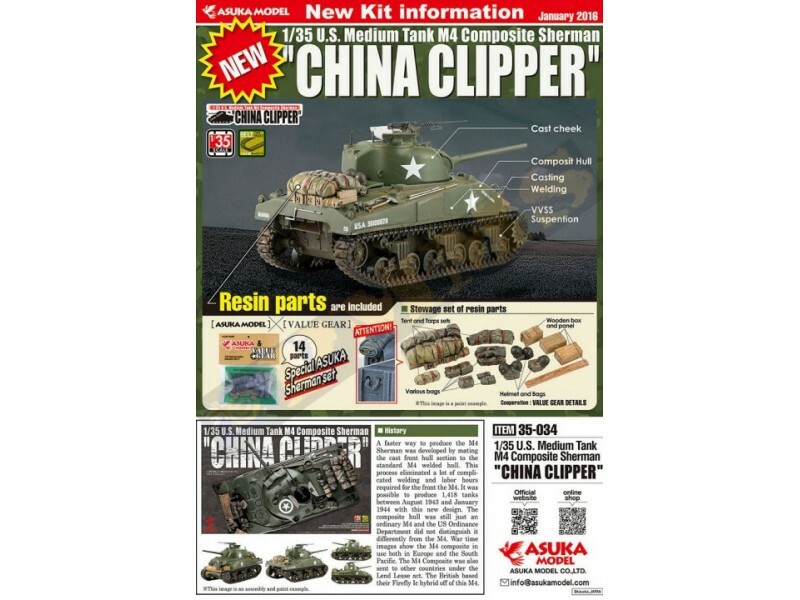 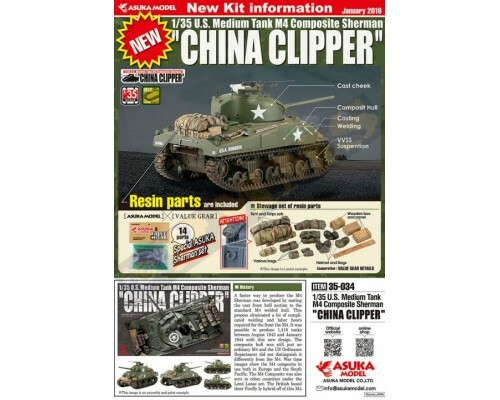 Medium Tank M4 Sherman Composite "CHINA CLIPPER"
Includes resin stowage accessories by Value Gear!